Grado headphones receive so many fantastic reviews, but this year they have topped them all. The September 2011 edition of What HI-FI? Sound & Vision magazine conducts a ‘Megatest’ of more than 40 pairs of headphones. 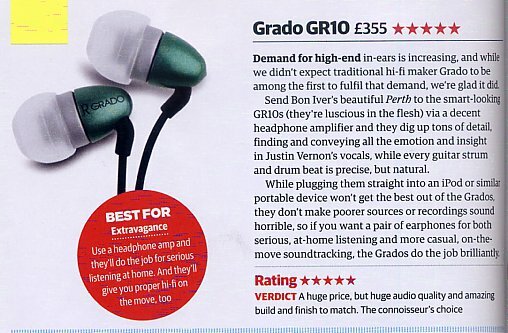 The huge seventeen page review includes five Grado models; the iGrado, SR80i, SR325i, PS1000 and the in-ear GR10 models. 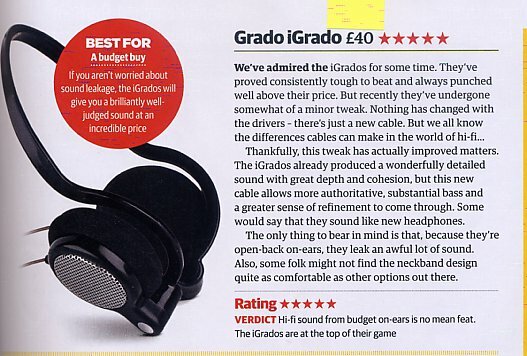 By which of course we mean each and every pair of Grado headphones receives a resounding ‘FIVE STARS’ from the expert reviewers. Click here to view the full article, featuring Grado iGrado. 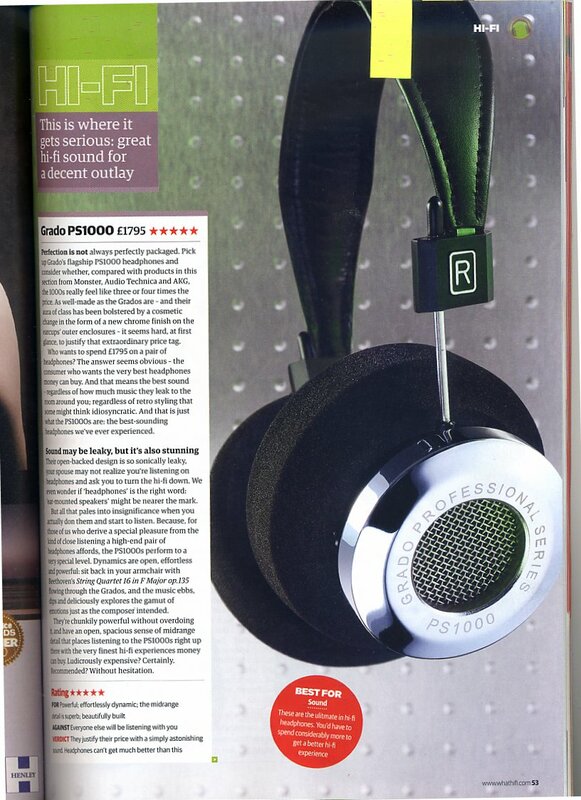 Click here to view the full article, featuring Grado PS1000. Click here to view the full article, featuring Grado SR325i. Click here to view the full article, featuring Grado SR80i. Click here to view the full article, featuring Grado GR10.